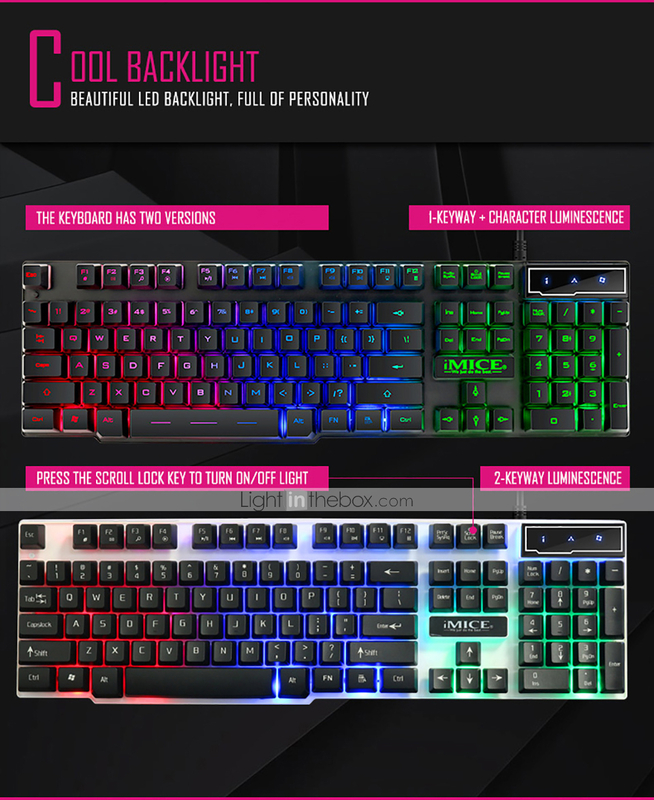 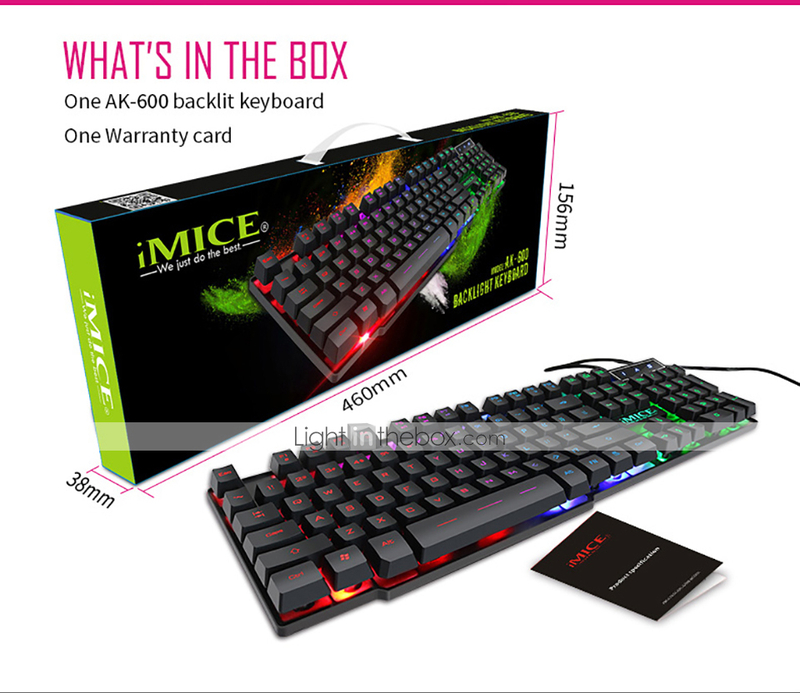 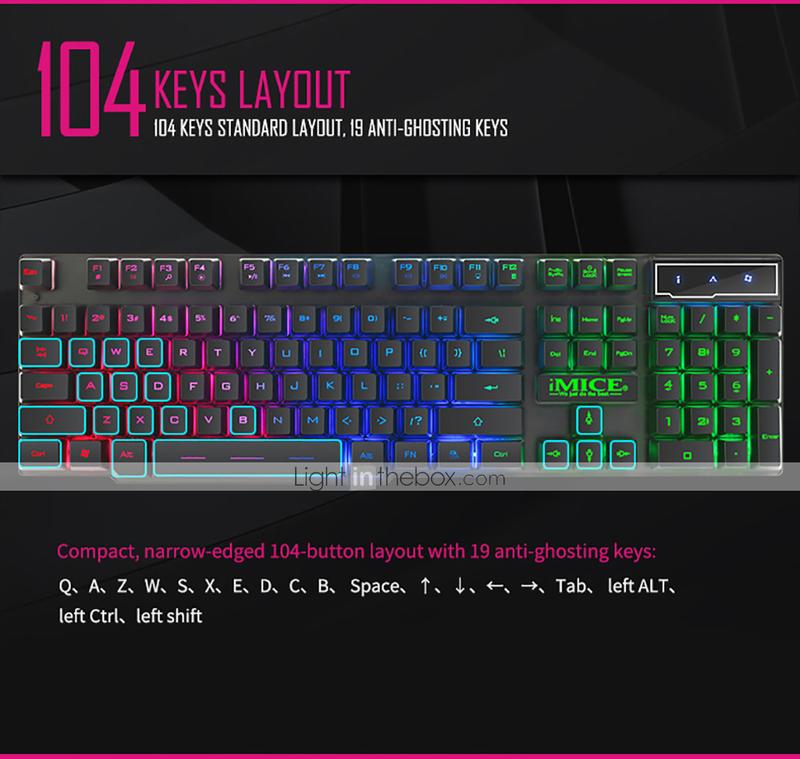 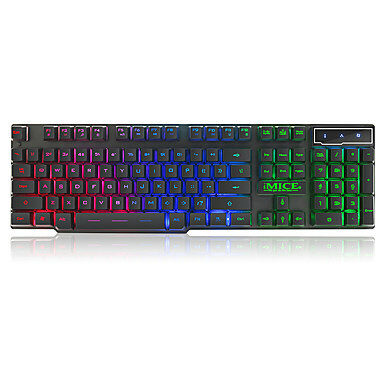 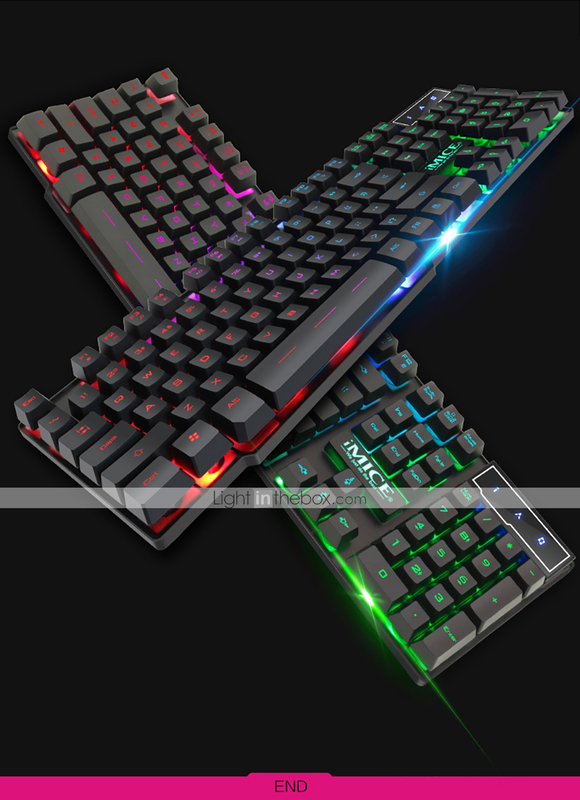 Feature: 1.104keys, Mechanical feeling Game Keyboard.. 2.Easy to Operate. 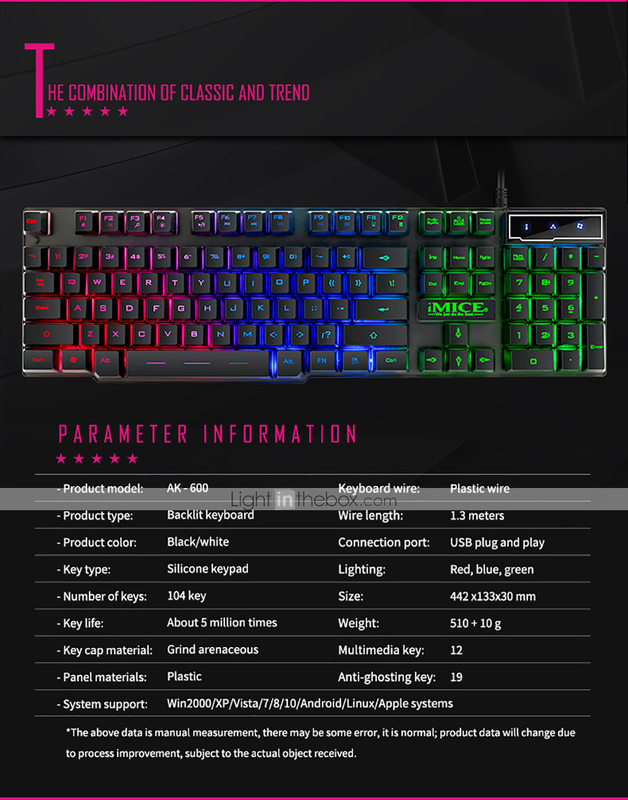 USB plug and play.Full function keys (F1 to F12) to help you operate quickly 3.Silicone keypad , waterproof keycaps with bulit-in liquid diversion hole. 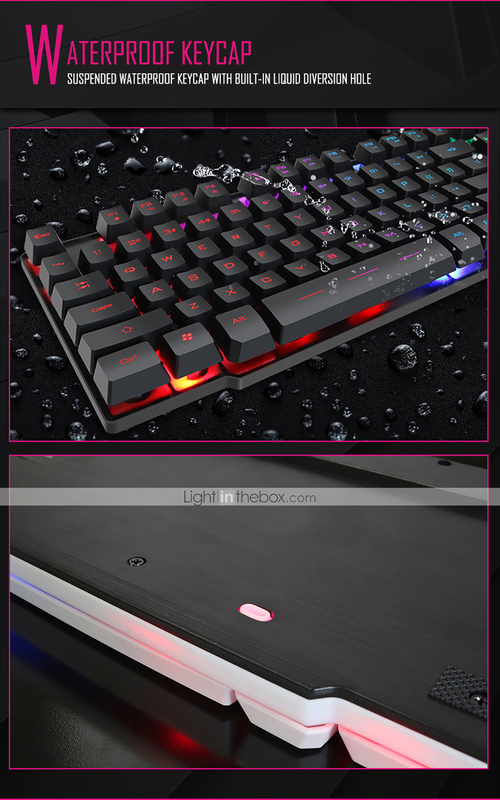 protect keyboard from water. 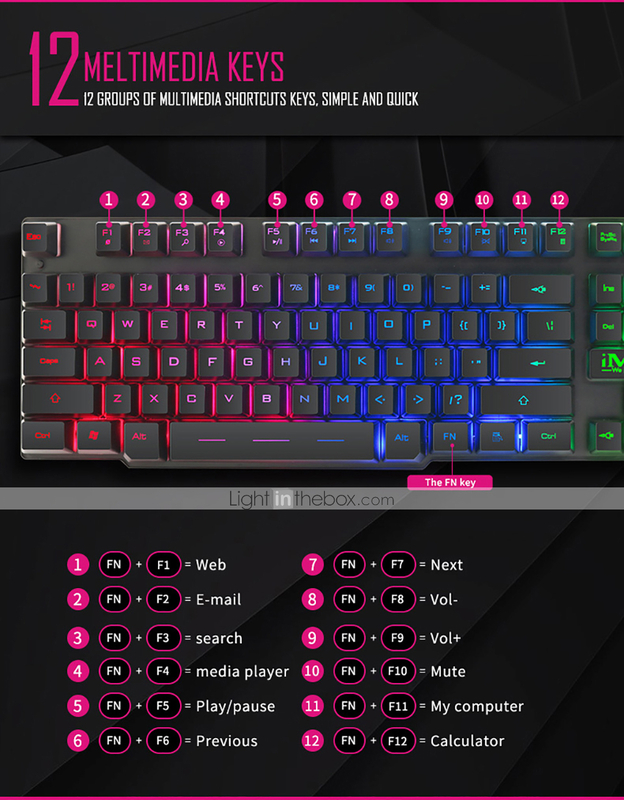 4.Cool RGB Back light. 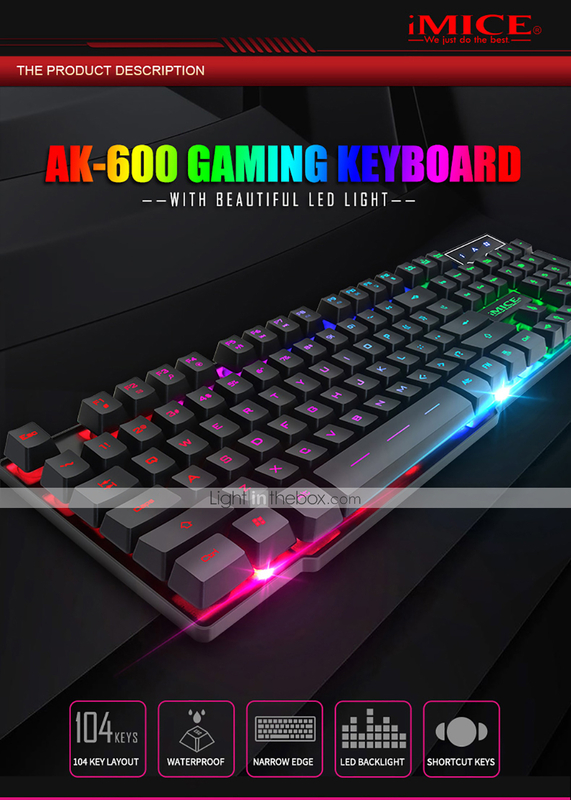 Looks more eye-catching.